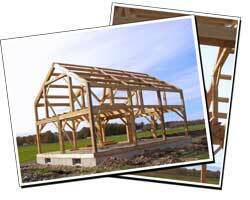 This gambrel timber frame was built to replace a older post and beam home. Tragically the old timber frame burnt down, but with the help of family and friends we were able to build a new gambrel style home. 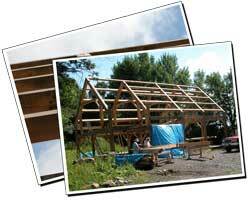 The timbers used to build this custom hardwood frame were logged off the owners woodlot. Boards left over from the sawing process were later used in the floor, cabinetry and millwork. 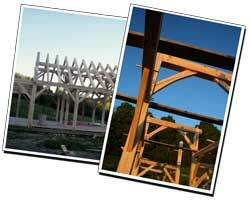 Located just outside of Cazenovia NY, this hemlock timber frame features a prow bump out in the great room. A simple but elegant hemlock timber frame built as a fishing cabin near the Salmon River in Northern New York. 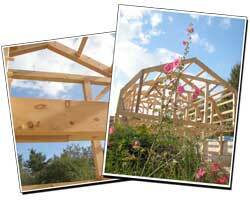 The custom arch trusses feature glue laminated bottom chords and lots of hardwood spline joinery. 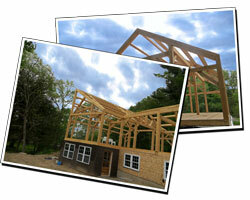 The frame is an addition to a farm house in Montour Falls, New York. 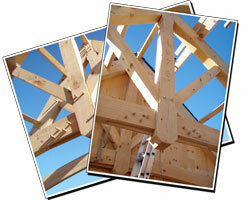 An eastern white pine timber frame featuring a principle rafter and purlin roof system.